This term I decided to take the plunge into the redefinition end of the SAMR pool and, rather than just getting my students to create something for their classmates to learn from, we made our own iTunes U course which we’ve released to the world. I wanted to do something a bit different with our Pompeian domestic art and architecture topic, and get the students to take greater ownership of their learning. So I introduced them to the basic concepts behind Roman housing, mosaics and frescoes, before going through an example of each. I then set them loose and gave them a list of suggested examples. Each student picked one, researched its key features and used their new knowledge to create an educational resource. While the resources are aimed at other Year 12, NCEA Level Two students, I’m hoping we can gather a few learners from around the globe! The prospect of sharing their resource with the entire globe would, I hope, encourage the students to produce their best possible work. Some of the resources were of a really high standard, although there was not as much proofreading and fine tuning as I would have liked! I’ve offered them some extrinsic motivation in the form of a pizza bet (something I would take very seriously). Last year at a course run by Apple, I created my own public iTunes U course on Roman Religion, aimed at NCEA Scholarship students. I managed to get 3,430-odd students and a feature on the homepage of iTunes U in the United States! We’ve agreed that, should my students beat this, the Classics Department will buy them pizza next term. So far they’re on seven but I suspect with their social media reach, they should be able to promote it further. Original image by Bibi Saint-Pol, via Wikimedia Commons. For Thing 9, I have decided to look for resources on Greek mythology to use with aY10/Y11 class. This could form an introductory module for my NCEA L1 Classical Studies course. Greek Mythology for Kids – a website I found through a basic Google search. I chose this website because it is colourful and engaging, and the myths are told at an appropriate level for 14-15 year old students. Greek mythology activities – a resource I found on tes.com. I often use this website to look for teaching resources, and find it particularly useful for French language activities. I chose this resource because it had lots of good activities and ideas which would work well with younger high school students, and provided a easy entry into the topic. Vase paintings on Wikimedia Commons – results from a search I did on the Wikimedia Commons. I like using Wikimedia Commons to find images of ancient art. 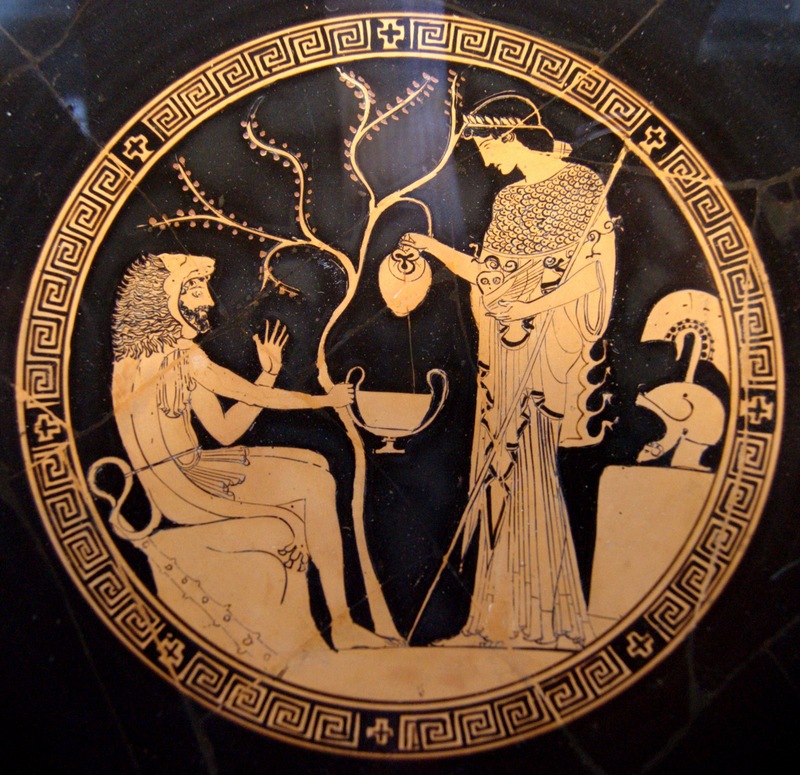 The works are usually very well labelled and easy to search, so I would give this link to students to look at and find scenes from Greek mythology as depicted in vase paintings. This is a good way for them to get used to finding and using primary source evidence. 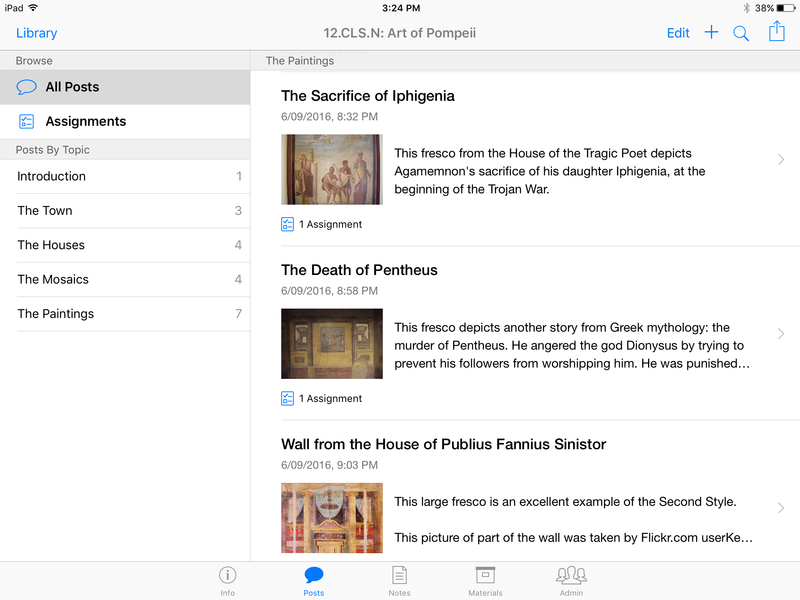 Mythology Video Course – an iTunes U course I found via the iTunes Store. This is a course which requires students to create a video based on Greek mythology, combining the content of Classics with the skills of video-making. I think this would be an interesting project for students to complete! I’ve found online resources to be invaluable in my teaching. I like to provide a range of media to appeal to different students’ interests and learning styles, and while I’m quite comfortable at making my own text resources, I’m not so talented with things like podcasts and videos! It’s also often easier to provide more authentic primary source material that has been sourced from other people, given that there is not much from the classical world that I can easily access in New Zealand.